2nd – Jean Geraghty (31) 14 pts (15 pts – 1 penalty). 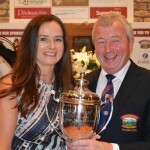 2nd – Marie O’ Shaughnessy (37) 13 pts. 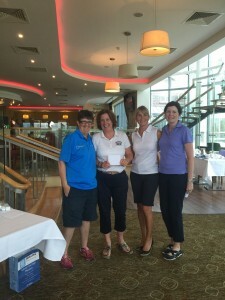 1st – Aileen Ludden, Nuala Timoney, Eamon Murray. 2nd – Collette Noone, Onóra Lynch, Gareth Davies. 1st – Caroline Codyre, Monica Sweeney, Gareth Davies. 2nd – Michelle Keenan, Deirdre Squires, Miceéal Ó Cinnéide, Vincent Winters. 3rd – Siobhán Smyth, Denise de Faoite, Brendan Davis. 28th September 2017 – Stags & Wags 9 Hole Scramble. 1st – Aló Ó Conghaile, Audrey Dinneen, Gillian Trainor. 2nd – Séamus Ó Máirtin, Imelda McGovern, Rosemarie Houlihan. 3rd – Michéal Ó Cinnéide, John Moore O’ Connor, Kate Daly. 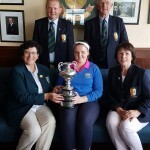 1st – Imelda McGovern (19) 21 pts. 1st – Caroline Kenny Codyre (15) 21 pts. 3rd – Beatrice Mudrack (29) 17 pts. 1st – Fiona McGee (24) 18 pts. 2nd – Valerie Kiely (16) 16 pts. 1st – Audrey Dineen (33) 20 pts. 2nd – Marian Cunningham (18) 19 pts. 1st – Mary Griffin (17) 20 pts. 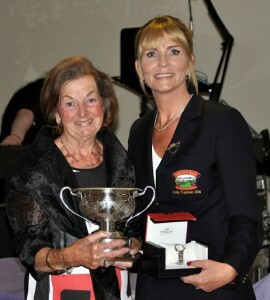 2nd – President Onora Lynch (35) 17 pts. 3rd – Nuala Timoney (21) 15 pts. Following the recent Ladies Club AGM the club officers and committee have officially started in their new positions. The club would like to thank our outgoing committee member Ailís McDermott for her valued contribution to the committee and club over the last number of years. 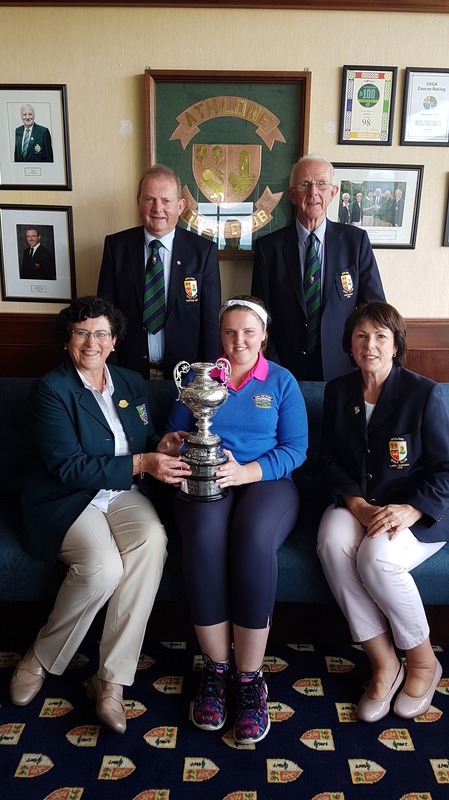 Congratulations to our fabulous Burren Foursomes team and their Captain Caroline Codyre who won the final of the competition in Bearna today against a very sporting Gort team. In dry but windy conditions, the girls produced great golf in order to overcome Gort Golf Club. The matches were played out in front of a large number of supporters from both clubs. Winning the competition was the result of a huge amount of collective preparation, sacrifice and dedication and involved a large panel of players throughout the campaign.Thanks to the entire panel for representing the club and for all the time you put into travelling, practicing and playing. As hosts of this years competition the organising commenced last year and culminated in a great victory on home ground today. Many thanks therefore goes to the Burren Trophy 2016 organising committee Niamh Lyddy Collins, Caroline Codyre and Yvonne Flaherty who not only were involved in the organisation of the competition but also played a pivotal role in securing the win today. Well done to all on a great win…. Commiserations to our Minor Cup team and their Captains following their defeat to Ballinrobe Ladies Minor Cup team in the AIG Cups & Shields Connacht Final on Saturday 27th August in Athenry. It was a tight affair from the beginning with little separating the teams early on. The standard of golf played was excellent. 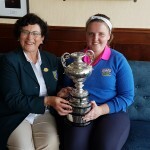 Ballinrobe pulled away after the turn but Bearna battled hard to get back in contention on the closing holes,but, unfortunately it was not to be Bearnas day with Ballinrobe clinching the title with one win on the 17th and two on the 18th.. Team captain Marian paid tribute to the dedication and effort of the team over the months of the competition. 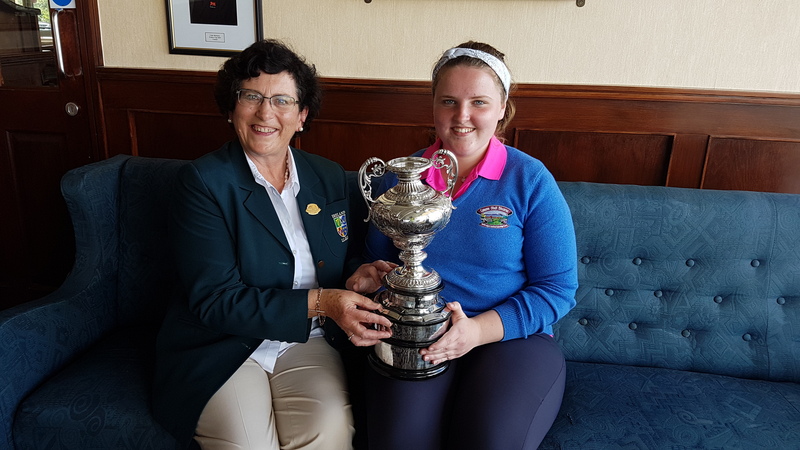 Marian thanked vice captain Jean and the caddies as well as the many enthusiastic supporters who travelled to all the matches. There was a wonderful panel of players in 2016 who no doubt will win many titles in the years to come! 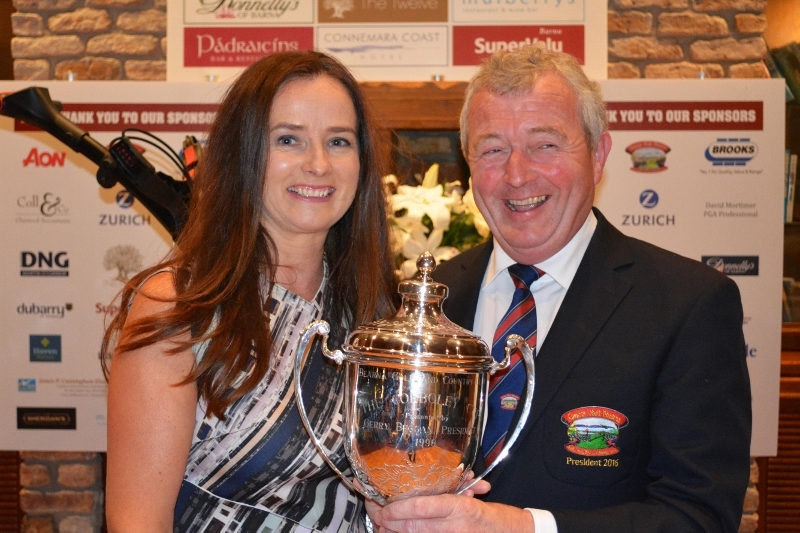 President of Bearna Golf Club Tim Tarpey was delighted to present Imelda McGovern with his Presidents Prize on Sunday 21st August. Imelda, a very popular winner, had a great score of 37 points in very tough weather conditions. The course was playing very long and playing conditions were particularly difficult due to the wind and persistent rain. Imelda, said she was absolutely delighted to win the Prize and said that the course set up suited her and of course it helped that she’s used to playing in bad weather throughout the winter months! 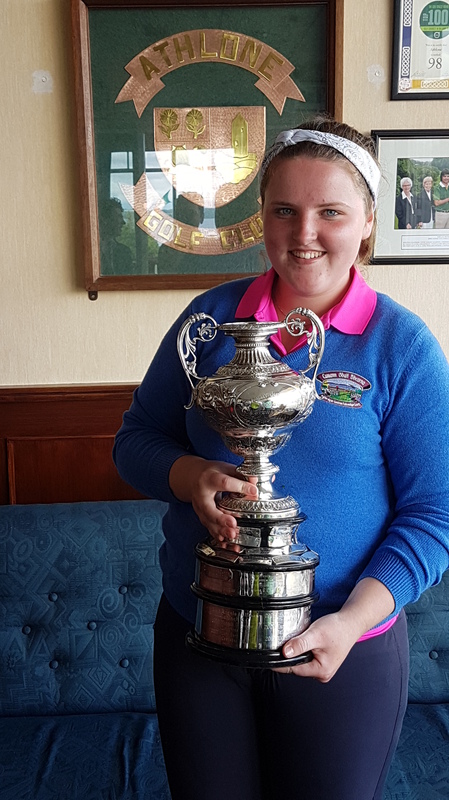 There was a busy timesheet as 140 players turned up to play for the coveted prize and to support President Tim and by extension supported the Tanya and Hazel Bursary. On behalf of the Tanya and Hazel Bursary Tim thanked all those who played on the day, those who made private contributions and those who kindly sponsored the event. Tanya and Hazel were on very friendly terms with the staff of University Hospital Galway and the staff themselves came up with the idea of this bursary, which provides assistance to one medical student and one nursing student in UHG each year. Tim said that as a family they are delighted to have their names and loving spirits kept alive by association with such a worthwhile cause. 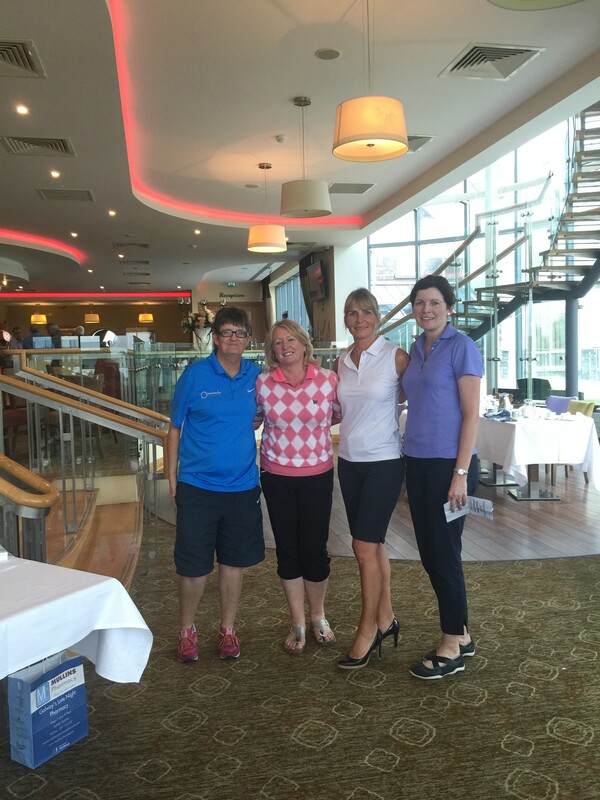 Glasson Golf Club was the venue for this years Ladies Club outing on Thursday 11th August. 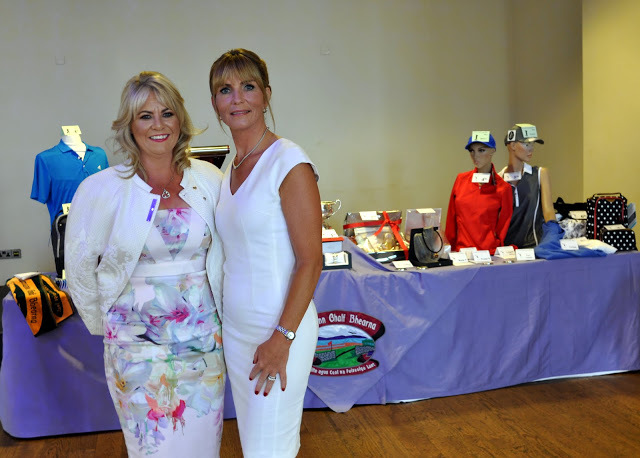 The day went off without a hitch thanks to the organisers Deirdre Squires, Siobhan Smyth and Lady Captain Clare. The course was in great condition, and all of the 34 ladies taking part in the golf competition had dry but windy weather all the way. Despite the windy conditions many of our golfers rose to the challenge and produced some great scores. We are deeply indebted to Orla Cahill, who kindly sponsored the prizes for the outing again this year. Thank you Orla. 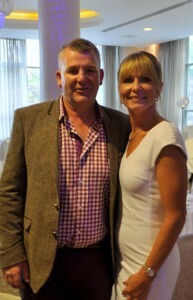 We all enjoyed some welcome refreshments on arrival and a wonderful meal after the golf. Many thanks to Glasson Golf Club for their friendly welcome and wonderful hospitality. Help raise funds to keep Bearna hearts ticking. Two scores to count on all other holes. 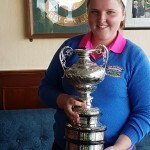 Caoimhe Connacht Junior Ladies Champion! Kate O Meara, Honaray Secretary ILGU Connacht presents first Prize to Caoimhe. Below, Caoimhe and Kate with Officers of Athlone Golf Club who hosted the 2 day event. 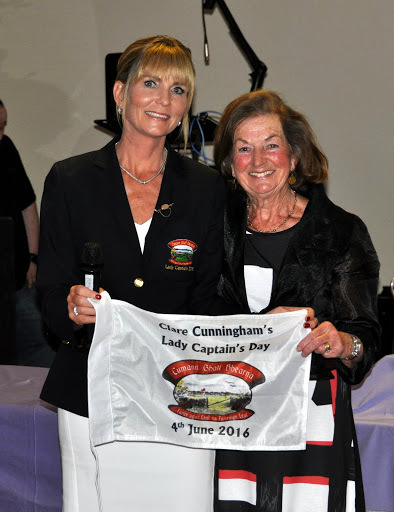 Congratulations to our Lady Captain Clare who hosted her prize to the ladies on Saturday the 4th June. 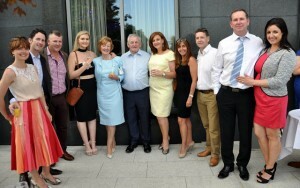 What a wonderful day and night it was for the club. Everything went according to plan and there was a great atmosphere around the club throughout the day. Lady Captain Clare was overjoyed by all the cards, presents and good wishes she received on the day. 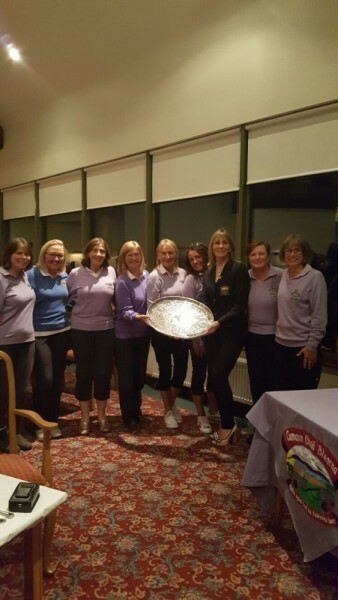 There was a fantastic turnout of Lady members to honour the Lady Captain all hoping to win the prestigious Lady Captains Prize. 67 Ladies played in glorious sunshine. For a change the umbrellas were out for shade from the brilliant sunshine which shone from early morning till dusk. The Lady who shone on the day was Frances Spelman who returned a fantastic score of 68 to covet the overall prize. Frances is a stalwart of the Ladies Club and will see her name on the Rose Bowl for a second time having won the Ladies Captains prize previously in 2009. Well done to Frances, a very popular winner. 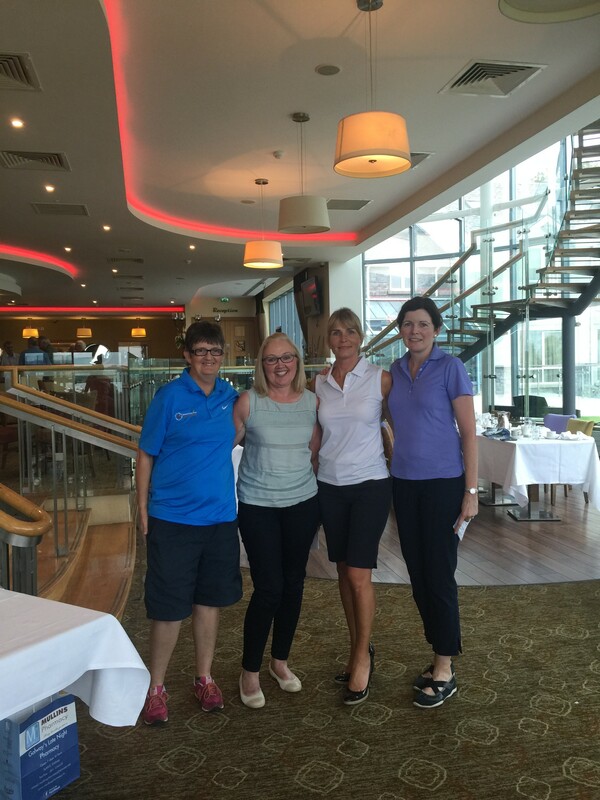 Brid O Rourke was the winner of the 9 hole Stableford competition and Congratulations also to all those who won prizes on the day. We would all like to thank our wonderful Lady Captain Clare for organising this great day. 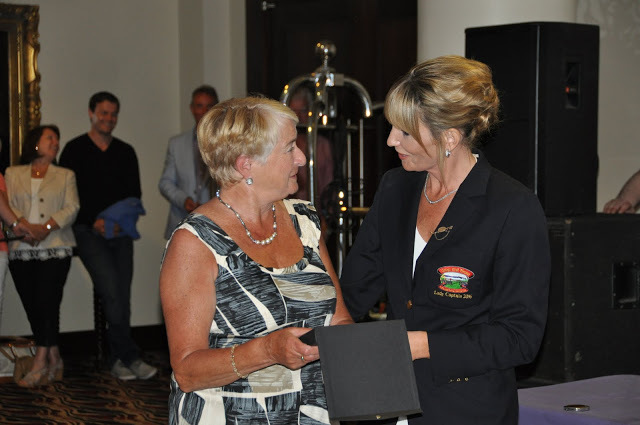 Her hard work and dedication to the Ladies Club and Bearna Golf Club is outstanding and we are honoured and proud to have her as our Lady Captain.